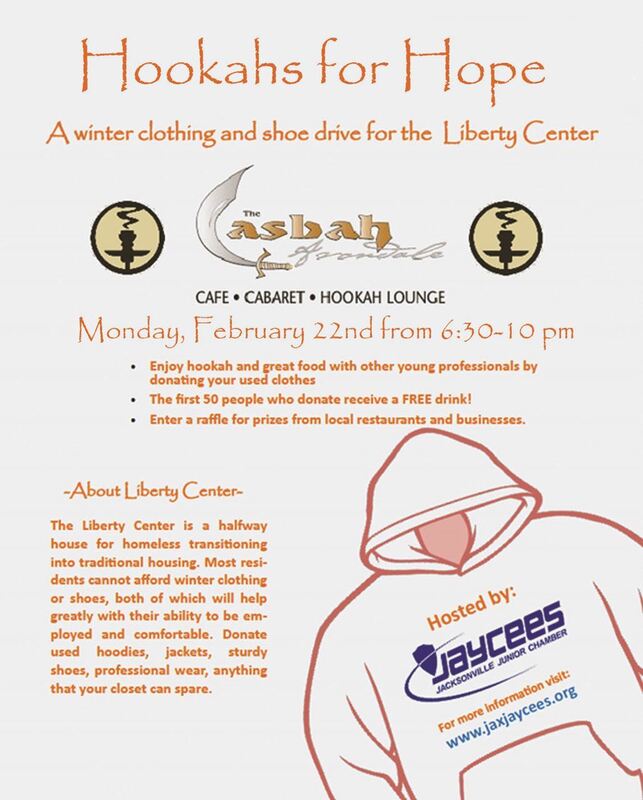 Come join us at the Casbah Cafe to enjoy our 4th annual clothing drive for The Liberty Center. There will be hookah, great drinks and appetizers all for a great cause. The first 50 people to donate will have a drink on us! The Liberty Center is in need of winter clothing and shoes for their residents. As a halfway house for homeless transitioning into traditional housing, most residents cannot afford winter clothing or shoes, both of which help greatly with their ability to be employable.